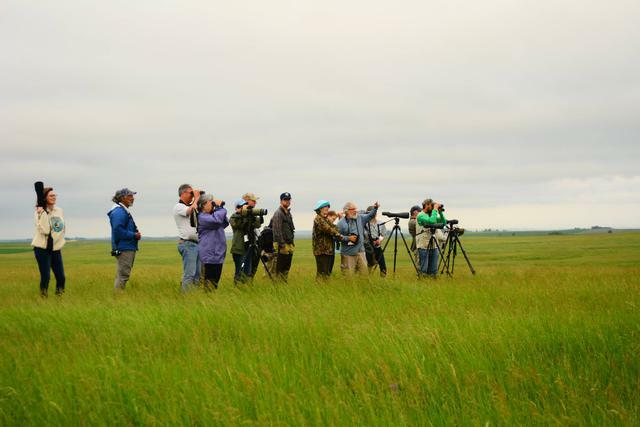 Birders looking for Baird's sparrow. Photo courtesy of Rick Bohn. Birders looking for sparrows. Photo courtesy of Rick Bohn. Birders looking for Baird's sparrows and Sprague's pipits as well as the other dozen bird species that are out there. Photo courtesy of Rick Bohn. 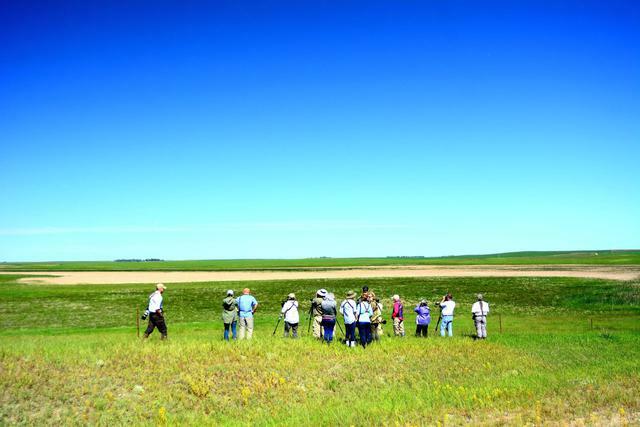 Birders spotting the flying birds over the prairie. Photo courtesy of Rick Bohn. 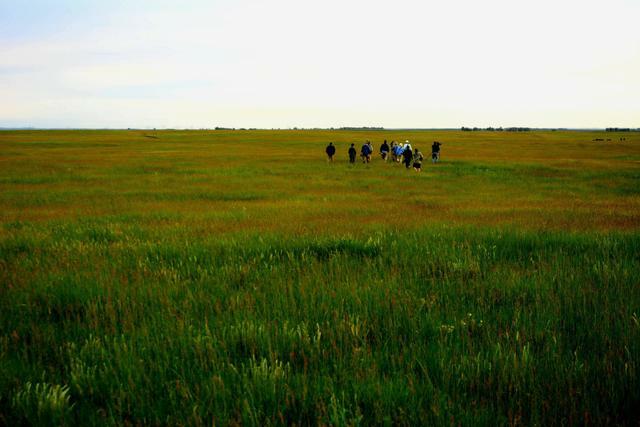 Birder walking across the prairie in search of grassland sparrows. Photo courtesy of Rick Bohn. 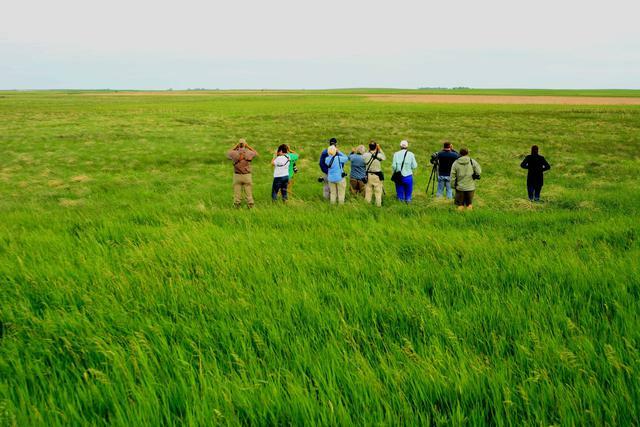 Birders looking for Nelsons and LeConte's sparrows. Photo courtesy of Rick Bohn. 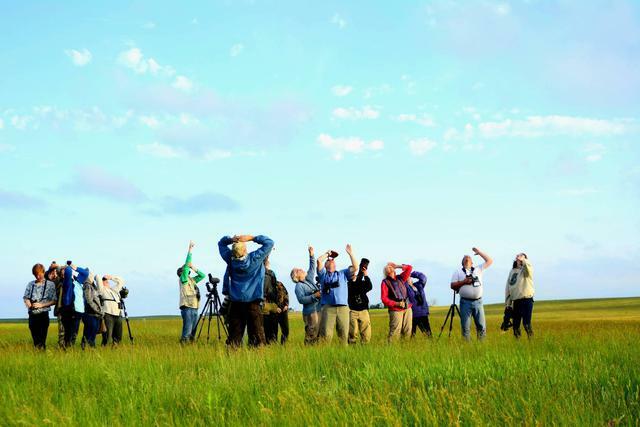 Birders relasing after a long day in the prairie and enjoying Al Batt's talk. Photo courtesy of Rick Bohn.